Established as the capital of Assam by the British, the hill station of Shillong today serves as the capital of Meghalaya, created in 1972. Since then, development has made the "Scotland of the East" into a fairly plain Indian town, although some colonial-era architectural highlights still shine through. 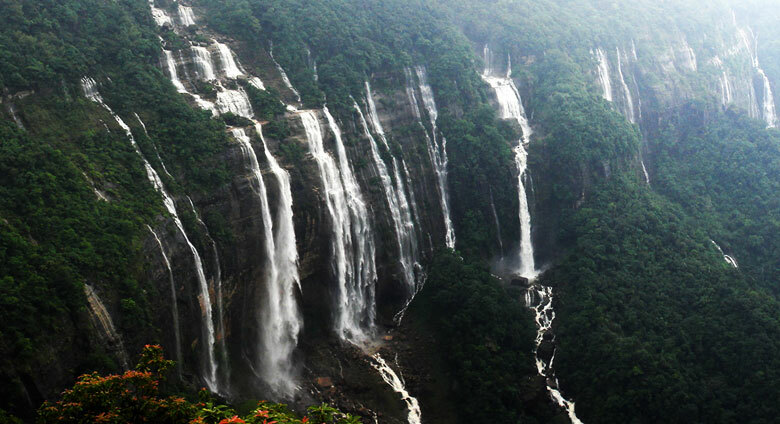 As with other hill stations, the climate here remains noticeably more temperate than at lower elevations, and most Shillong itineraries focus on the verdant valleys and forested hillsides--the main beneficiaries of the cool mountain air and the monsoon rains. Shillong is in East Khasi Hills District. Arrival at guwahati airport/ railway station, proceed to visit kamakhaya shakteepeeth (if time permits) and later transfer to kaziranga, check-in to hotel. 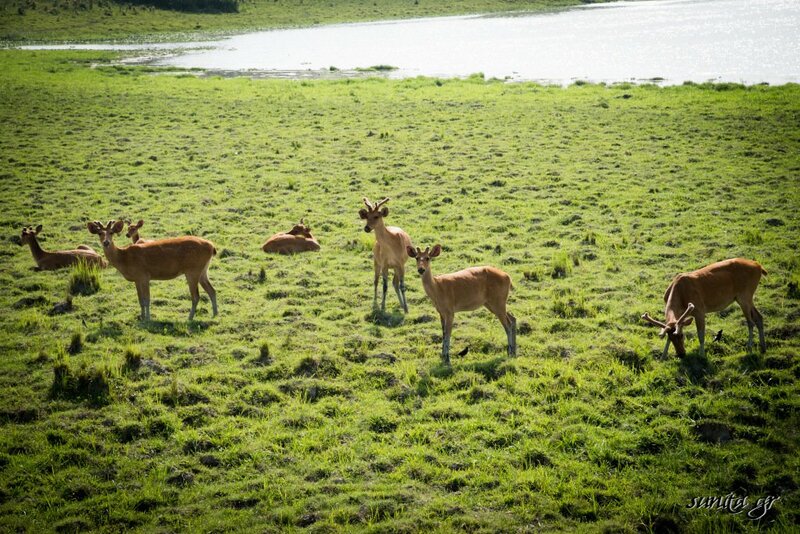 Evening at leisure or overnight stay at kaziranga. 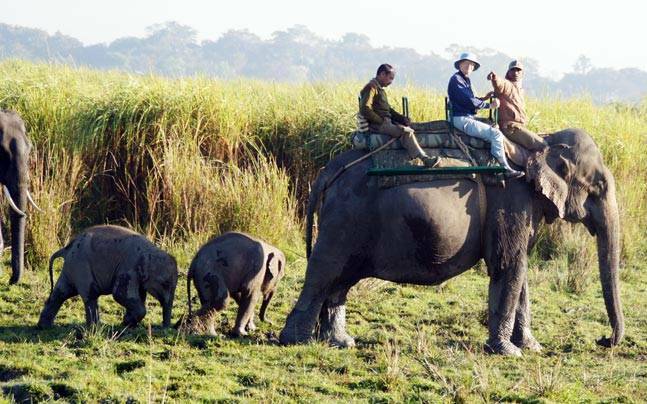 So this morning start your day early in the morning and go ahead for elephant safari, you will be taken to the riding point in the central range (kohora) for an elephant ride ( direct pay basis). After the ride return back to the hotel. 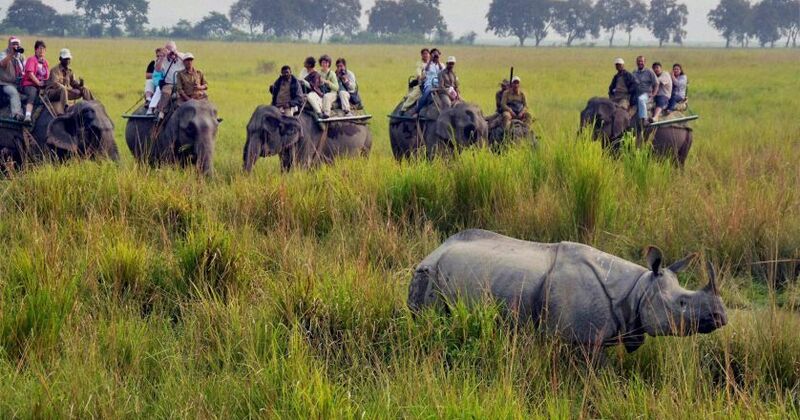 After lunch drive to the central range (kohora) of the park for a jeep safari ( direct pay basis) overnight at kaziranga. 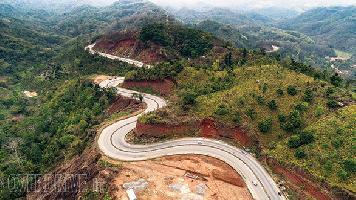 This morning drive towards shillong also known as ‘the scotland of the east’ is the capital city of meghalaya. En route you will visit the largest manmade lake of northeast india – umium lake. Reaching shillong after 3 hours journey (approximately), we check-in at hotel. After freshen up visit golf course, don bosco museum of indigenous art and culture, wards lake, and butterfly museum. Evening free for leisure or for shopping in the famous police bazaar in shillong. Overnight in shillong. 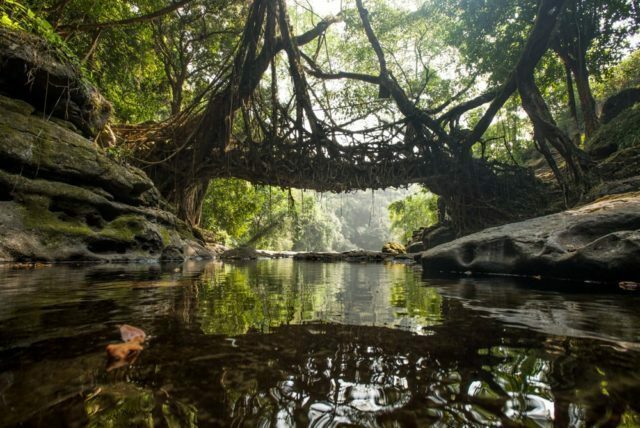 This day after early breakfast proceed for mawlynnong village asia's cleanest village, living root bridge and tamabil – dawki, dawki bridge, is a suspension bridge over the umngot river ( the only crystal clear water river in india). It was constructed in 1932 by the british. India- bangladesh border one can enjoy boat ride in umngot river which is a crystal clear water river in meghalaya. ( before 5 pm ) drive back to hotel by night. Overnight stay at hotel in shillong. 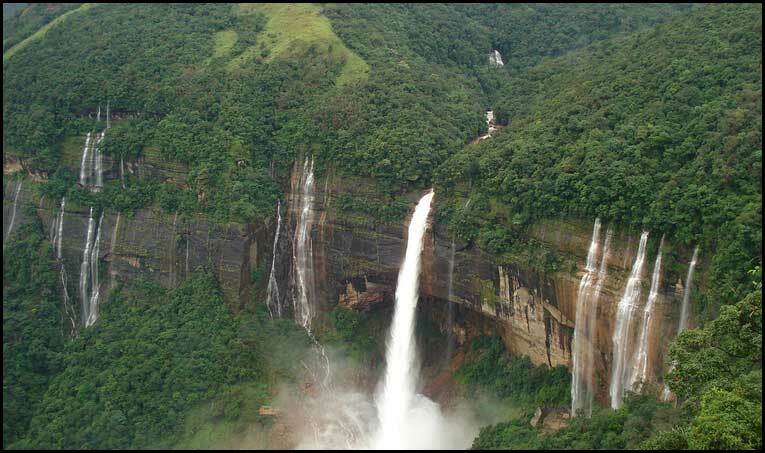 By morning after early breakfast, leave for cherrapunjee, enroute visit shillong peak and elephantaa water fall. After taking lunch, proceed towards “sohra” (cherrapunjee name had given by british and the authentic name of cherrapunjee is “sohra”) visit eco park, seven sisters water falls, noh-ka-likai falls- sohra the wettest place on earth, mawsamai caves and david scott memorial stone. Drive back to hotel, overnight stay at hotel. Note: as you are going to experience rich culture and history of north-east, so i would like to advise you to try meghalaya cuisines at shillong's famous restaurant. This morning after breakfast drive towards guwahati, enroute halt at umaim lake view point. Reach guwahati by the afternoon. And take drop at guwahati airport / railway station. 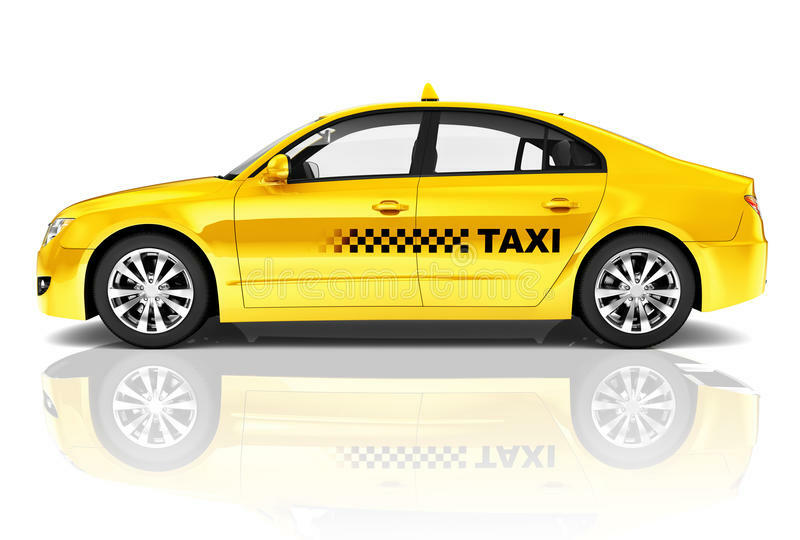 ALL TOLL, PARKING, INTER-STATE TAXES, FUEL CHARGES, DRIVER’S ALLOWANCE AND NIGHT CHARGES INCLUDED. ENTRANCE FEES AT MONUMENTS, CAMERA CHARGES AT PLACES. SIGHTSEEING POINTS WHICH IS NOT MENTIONED IN THE ITINERARY. ANY EXTRA MEAL- AS LUNCH & DINNER. DELAY IN THE TOUR DUE TO CLIMATIC REASONS. ANY SIGHTSEEING POINTS, IF NOT COVERED DUE TO LESS TIME OR FOR ANY OTHER REASONS NO REFUND WILL BE GRANTED. ANY SPORTS ACTIVITIES: AS ZIP LINING & BOATING. ANY OPTIONAL TOUR WHICH IS NOT MENTIONED IN THE PACKAGE.